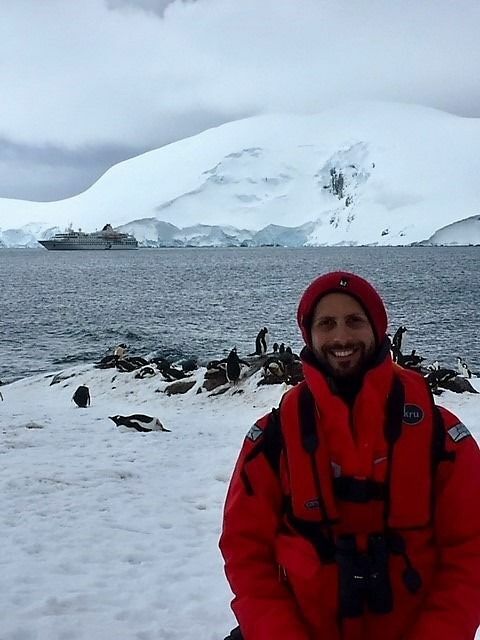 Antarctica: Penguins, seals, whales, icebergs, The Drake Passage and the best holiday you could ask for. I would be lying if I say that I always wanted to go to Antarctica. This beautiful part of the world doesn’t usually come up on a kid’s radar and sometimes not even on an adult one. I think Antarctica is a place we all hear about once, research for a bit (or see a David Attenborough documentary) and then we are instantly hooked. Then… the planning (and the savings!) start. A N T A R C T I C A. First, the destination: When to travel, what will you see, what’s the difference? Where are you going? In short, November to mid-December is the time to see Antarctica at its most undisturbed, pristine state. This is when you will encounter the ‘white continent’; beautiful snow, pack ice and icebergs everywhere. For those who love admiring the great white mountains of the world, this is a good time to visit Antarctica. It is important to note this time of year is generally colder. Regarding wildlife, penguins are everywhere but the eggs are not hatching just yet and whales are only starting to arrive. Late December and January offer around 20 hours of daylight and are usually Antarctica’s warmest months. Wildlife is at its most abundant as more whales are arriving in greater numbers and penguin chicks are hatching. Receding pack ice may open new channels for exploration – a great time for the Weddell Sea explorations to see those huge tabular icebergs! In February and March, you are likely to see beautiful Antarctica sunrises and sunsets that create stunning photo opportunities with great colours and contrasts. It is also the best time to spot whales. Penguin chicks become more active and predator activity is more common. Calling out all budding photographers! Little tip: ssshh, don’t tell anybody but in late December to January you can expect almost 24-hour sunlight and abundant wildlife, however you should be aware that flight prices to Argentina are around $1,000 more which can make the overall tour more expensive at this time. Some departures might also increase their prices for December-February. Airfares and cruises for departures in November and March are at their least expensive. So, why are you going to Antarctica? Are you going to the Antarctic Peninsula to tick the box or are you going for a ‘once in a lifetime’ trip and want to make the most of it? I know a lot comes down to money and time, but if you can I suggest adding a trip to the Falkland Islands and South Georgia. This will make your trip jump from a classic 10-day voyage to 18-23 days…it will be longer but don’t worry, it will also be amazing! The Antarctic Peninsula will offer you an incredible trip where you can see glaciers, icebergs, penguins, seals, whales and different birds such as Albatross and Petrels. If you go for a slightly longer trip you could go further south and cross the Antarctic Circle. This not only gives you the chance to cross that off your bucket-list but will give you more time in Antarctica. Other cruises venture to the Weddell Sea on the warmer months where you can see the huge and impressive tabular icebergs. These trips are normally 12-14 days. South Georgia – the Greatest Wildlife Show on Earth! 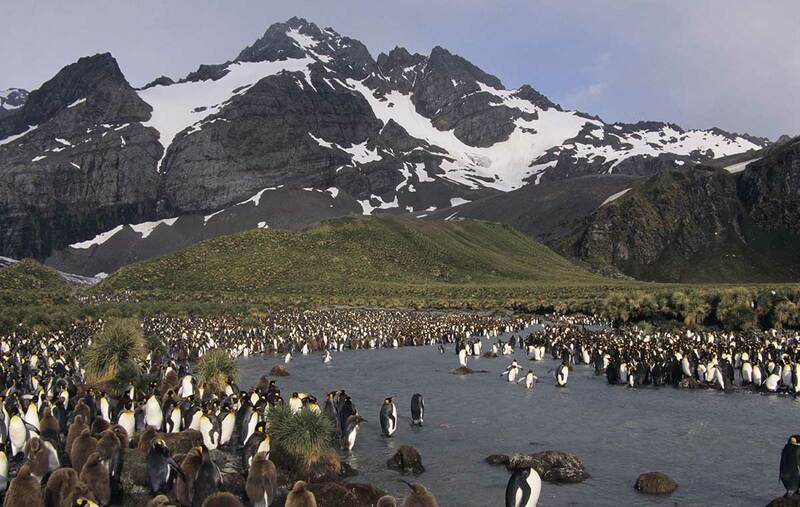 We now jump to the longer 18-23 day cruises including the Antarctic Peninsula, the Falkland Islands and South Georgia. This is for those looking for a bit more of culture and history and also for those penguin lovers (and those with more time and a bigger budget!). The Falkland Islands are a great short stopover where you learn about the history and war that the islands went through between the United Kingdom and Argentina. This also breaks up the journey between South America and South Georgia as it can be a very long voyage just at sea. Once you reach South Georgia you will understand that all that time, planning and money was quite worth it. This gem holds the largest King Penguin colony in the world, hundreds of thousands of adult penguins and chicks that can be seen on all voyages. This island is also special for those Shackleton fans as he was buried there and most cruises (if not all) will attempt to make a visit to his grave and follow his footsteps. Finally, I couldn’t leave out one of the most amazing trips out there; the Ross Sea voyages. 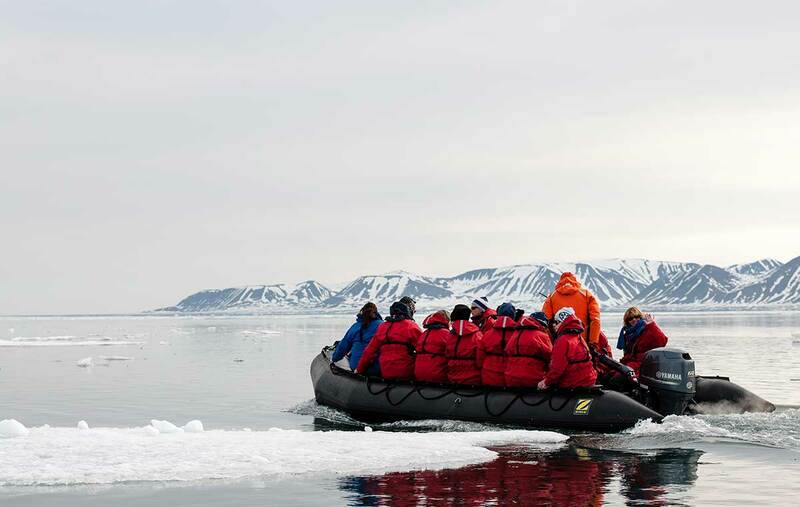 A cruise to the Ross Sea region is a true exploration to some of the most remote regions of the earth and only a few hundred people are able to visit each year. This expedition can be made from Australia or New Zealand and sometimes from South America as well. Wildlife is abundant and can include Adélie and Emperor penguins, South Polar Skuas, Snow Petrels, Southern Fulmars, Wandering albatross and many more species of bird. Whales, sea lions and seals abound here and can be found feeding in the rich waters around the ice edge. The region is often referred to as the ‘Home of the Blizzard’ and it is in this region that the relics of the ‘heroic period’ of Antarctic exploration can be seen and experienced. There are five explorer huts and many other historic sites that bring this period of Antarctic history to life. Second, the cruise: Do I go for the cheapest? Why this one and not that one? Does it even make a difference? Yes, yes, a million times YES! I can’t stress this enough. You are going on the trip of a lifetime so take your time to research, compare and, of course trust your experienced travel consultant. The range of cruises go from budget to luxury, so you want to make sure you are on the cruise that suits you best. After all, it will be your home away from home for 10-30 days. We work with all expedition cruises travelling to Antarctica and it is important that you let us know your preferences, so we can find a suitable option for you. I went on the RCGS Resolute and was a perfect match to my style of travel. This cruise is, in my opinion, the perfect combination of luxury and expedition. It is luxurious enough to make you feel comfortable and spoiled but not so much luxury that you don’t know what to wear to dinner. At the same time, it has that expedition feeling where you are constantly looking out the window spotting birds and whales or up in the open deck under a beautiful snowfall admiring the jaw-dropping scenery. The ship is stunning and offers two restaurants, an observation deck, a gym, a jacuzzi, a library, an outdoor pool (and heated too!) and the most lovely and attentive staff you could ask for. From the restaurant staff, to housekeeping and to those that will come to be your new best friends and heroes for the next few days: the expedition staff. I went on an 11-day voyage to the Antarctic Peninsula in mid-December 2018. This voyage was a sail/sail expedition crossing the Drake Passage in both directions. If this is the part that you were waiting for, let me get one thing straight; you never know how rough or calm it is going to be so get your sea sickness medication, ask for a cabin located mid-ship, have a glass of wine and enjoy the ride because once you board and you are on your way… you are going there anyway! If you are prone to sea sickness or just would like to avoid even knowing if you cope or not, then perhaps a fly/cruise is the option for you where you would fly from South America to Antarctica avoiding the Drake Passage – the flight takes around two hours and takes you right to the Antarctic Peninsula. I hope this quick blog inspired you to visit this incredible place so if you have any questions and would like me to help you get there, just pick up the phone and dial my direct line 02 9016 2934. I promise you I will do my best to get you a good deal and make your Antarctic dream come true! See our Antarctica expedition page for our small ship voyages.